Pan American Christian Academy, commonly known as PACA, is a nondenominational, college-preparatory, Christian, American school located in São Paulo, Brazil - a city with a metropolitan population of about 22 million (São Paulo is the largest business, industrial, and cultural center of South America). PACA students reflect the multinational community from which they come. Today the school serves the children of mission organizations, diplomatic, business and professional families with a dual curriculum program (American and Brazilian). PACA’s enrollment averages 340 students: 170 in grades Pre K-5, and 170 in grades 6-12. Our student body is approximately 30% North American, 30% Brazilian, 29% Korean, and 11% other nationalities. Our 8.9 acres of campus and facilities, place PACA in a class with the best international schools in South America. Our maintenance and service crew provide excellent care to our 22 classrooms, science laboratory, library, media center, computer center, learning lab, gymnasium, regulation-size athletic field, outside courts, cafeteria, playgrounds and a 25-meter swimming pool. English is the language of instruction. All students follow an American Curriculum and receive an American high school diploma. Students may concurrently take course work taught in Portuguese to earn a Brazilian diploma. The current faculty of 40 are all degreed and certified with 71% holding a Post-Graduate or Master’s Degree. The student-faculty ratio is approximately 10:1. School routine begins at 8:05 am and ends at 3:20 pm. The school calendar follows two semesters: August to December, and January to June. PACA provides a minimum of 200 school days in its calendar year. Preschool and Kindergarten: Students enjoy an all day curriculum designed to develop reading, writing, oral language, math, music, and art skills. Our early childhood students have opportunities for social interaction to help promote personal responsibility and growth. Elementary and Middle School: Our emphasis is on basic skills in reading, language, mathematics, social studies, science, computers, and physical education. Students will have special activities in sports, music, and drama. We offer a learning lab to assist students with learning disabilities. High School: The academic program is college preparatory, designed to prepare students for entry into colleges and universities in the United States, Brazil, and around the world. Advanced Placement and Honors courses challenge students even further. Students have the opportunity to participate in a variety interscholastic sports and co-curricular activities. Brazilian High School Diploma: Under the name Escola Cristã Pan Americana, students who enroll in the Brazilian curriculum receive an additional secondary school diploma. Brazilian courses include Química, Artes, Matématica Unificada, Redação, Geografia do Brasil, História do Brasil, Geografia Mundial. Filosofia, e Sociologia. For the Class of 2015, 19 students out of 25 graduated with a Brazilian High School Diploma. 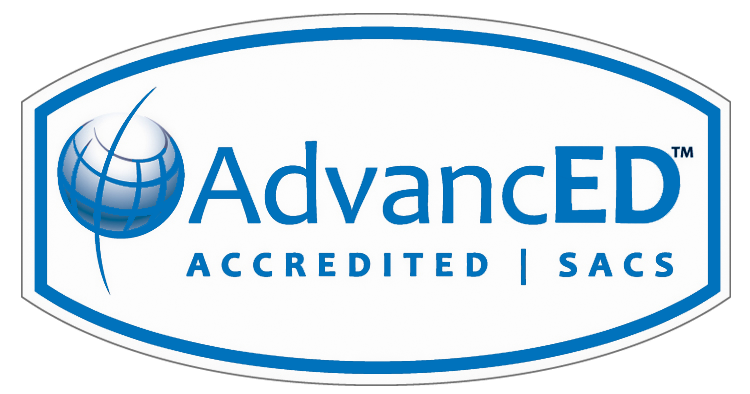 Advanced Placement Programs: PACA offers Advanced Placement courses to qualified students to enhance and expand their educational experience. The courses offered regularly are: English Language, English Literature, US History, Chemistry, Biology, and Calculus. Honors Program: Core courses may become honors courses with permission from the instructor and approval of an in-depth additional assignment. Three Honors Courses is the maximum a student may take within a school year. American Diploma: Twenty-five credits are required to receive the American diploma. American and Brazilian diplomas (Dual): Required to complete twenty-eight credits. The rigor of meeting requirements for both diplomas limits the choice of electives from which a student can choose. The GPA is computed from final grades in all courses. GPA is calculated by converting grades to total points and dividing by total credits. Grades earned at other schools are not included in the PACA GPA. AP classes receive 1.0 extra grade point and Honors classes receive an extra 0.3. PACA does not rank students, except for valedictorian and salutatorian. One unit of credit is granted for satisfactory completion of courses that meet five days a week for 45 minute periods for 200 days. One half unit of credit is granted for successful completion of semester courses that meet for the same amount of time per day and per week for 90 days. PACA has an eight period day. The following is a list of some of the colleges and universities to which PACA students have received acceptances from 2014-2018. For a PDF version of the school profile for this year, please click here or on the image below.